DENVER – A fresh coat of paint can give more than a facelift to an old home. It can lift the spirits of those living inside. 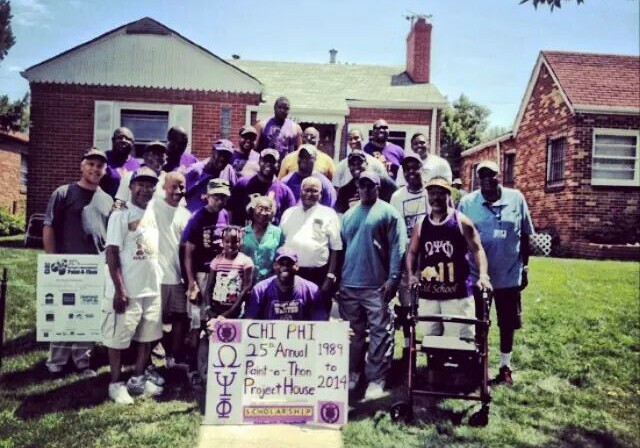 That’s why, for the 25th year, volunteers with the Omega Psi Phi Fraternity, Inc. Chi Phi chapter in Denver have volunteered their time and talents in the annual Brothers Redevelopment Paint-a-Thon. The event is in its 36th year. Teams of volunteers sign up to paint the houses of elderly homeowners. “This event not only aides in the beautification of homes, but it also helps the seniors to once again feel proud of their homes,” said Eric Allen, member of the fraternity’s paint-a-thon committee. The Official International Website of Omega Psi Phi Fraternity, Inc.